So crazy awesome day today. 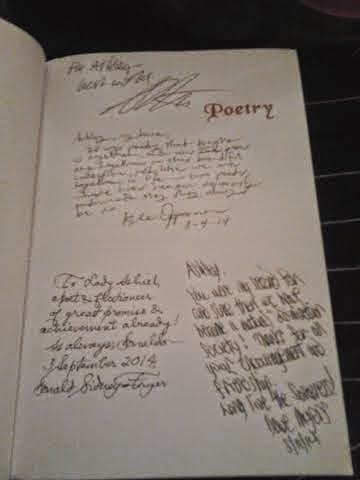 I got a lovely facebook message from an editor inviting me to submit a poem for a new KiY poetry anthology. I've never heard of him before and he wasn't on my friend's list yet. My facebook is set to private though my author's page is of course, visible to anyone. 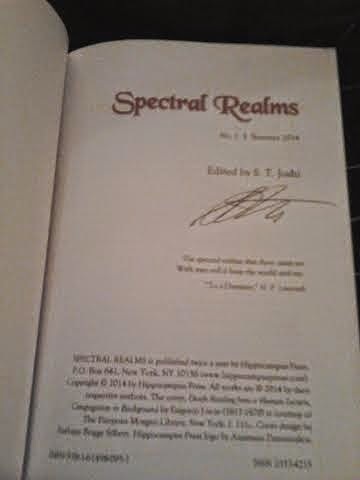 I asked how he heard of me and he said from Mr. Joe Pulver, who is the co-editor of this antho! I've only spoken to Mr. Pulver once, inquiring about his Cassilda's Song anthology which he told me was full and by invitation only. That was in the beginning of October! 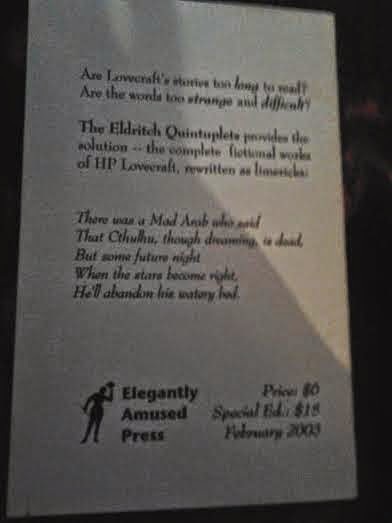 So I was quite surprised that he suggested me for this anthology. Yes, it's KiY related but did he remember me from that message? Has he read my work to think it'd be a good fit for this antho? I imagine that he would have a lot of more known authors to choose from than me. I'm quite honored by this. And excited, of course. 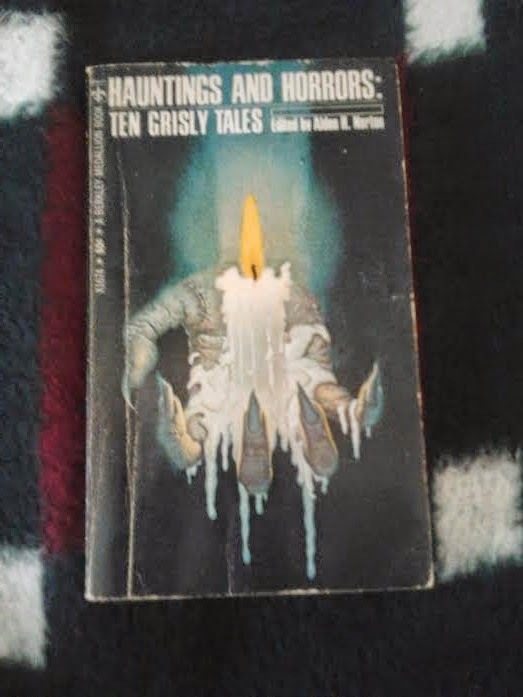 I was happy to read a Hodgson story for the first time, though I wouldn't have called it horrifying, it was still interesting. 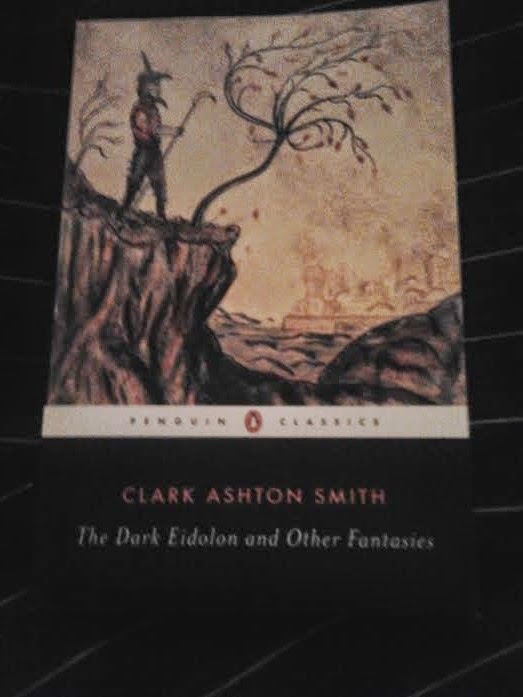 I enjoyed Clark Ashton Smith's charming little story about monsters and Bradbury's story taken by a dead man's point of view. 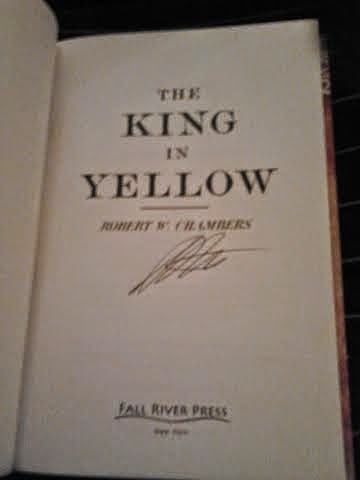 I liked Chambers's story but I thought it was too long for what the story was about. I thought it could have been stronger if it was a bit shorter. The rest were interesting though they did not stand out to me as the others did. 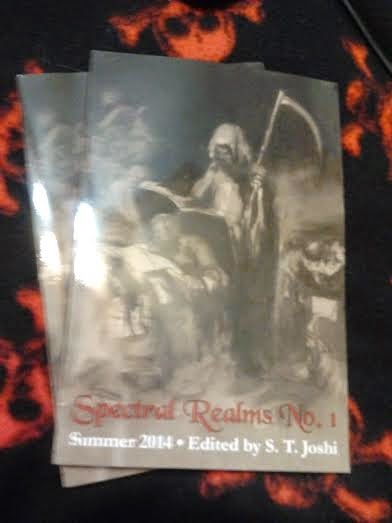 This little chapbook is 32 pages long with the first 12 being the intro, written by Peter Rawlik. I greatly enjoyed the main character and her hidden sinister nature. It completely took me by surprise how clever and calculating she was at the end. I can't imagine not having dreams. My dreams give me visions and sometimes blesses me (or curses me) with vivid thought out plots and dialogue that have me quickly writing them down when I wake up so I can fashion them into stories or poetry. I can understand her turning to the occult to find a way to dream. I would have done the same though maybe not so dramatically. So yesterday Kyle and I met up with S.T. 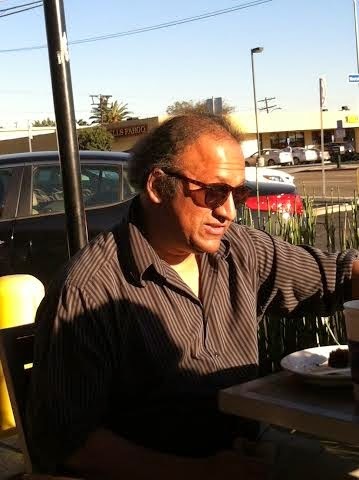 and his wife, Mary, at his sister's house in L.A. It was awesome! 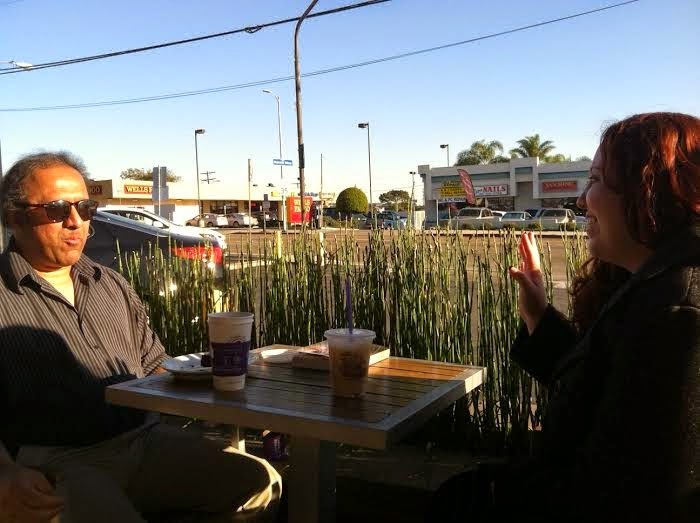 We then treated them to tea and snacks at a nearby Coffee Bean and Tea Leaf. We talked for hours and moved from there to a nearby park and then, when it got colder, back to the house. 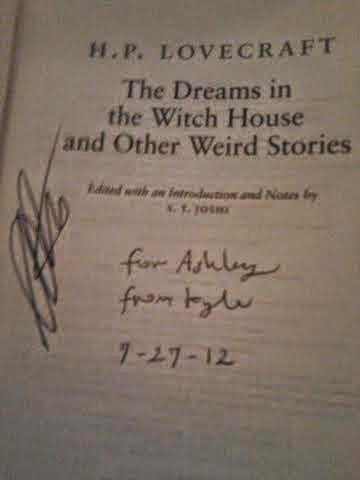 He wanted to know both our life stories and how Kyle and I met. We discussed a majority of the current weird writer's and their work. 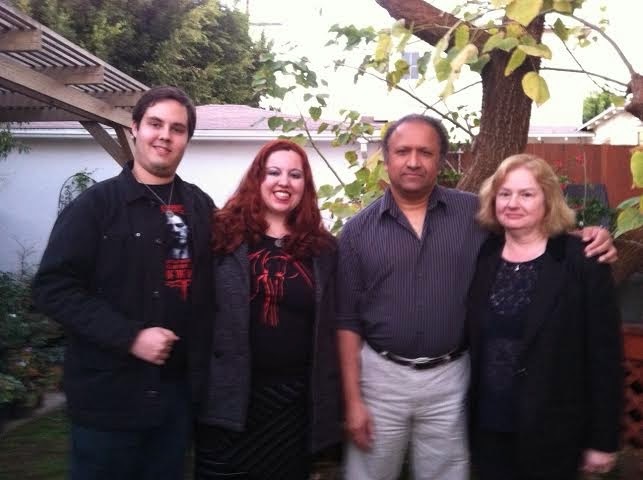 He told us that he wanted us to go to conventions and that Kyle's book should come out in time for the next Horror Writer's convention and that S.T. would like to submit his book for an award. 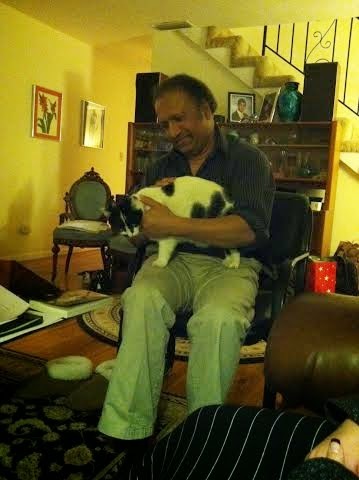 He wanted to know the status of my poetry book and how far along it is and was impressed to know that is nearly finished. He also loved my title for it and my section ideas. 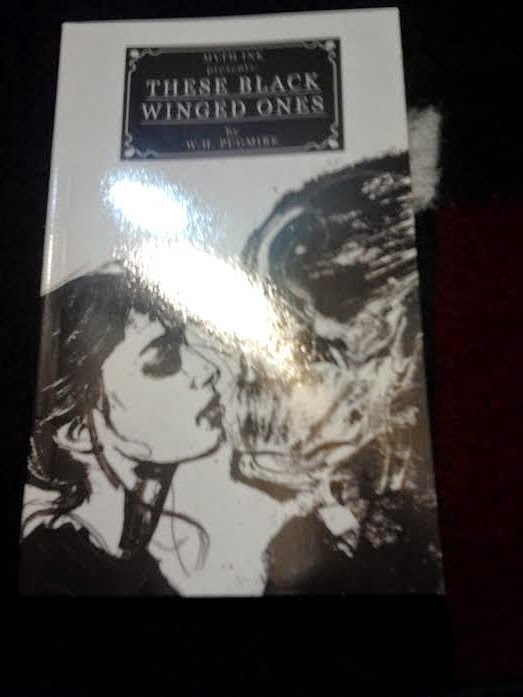 He told Kyle and I he would like each of us to be in more upcoming Spectral Realms and Weird Fiction Review; speaking of which, he brought the latest edition to show me since I have not received my contributor's copy of WFR yet. 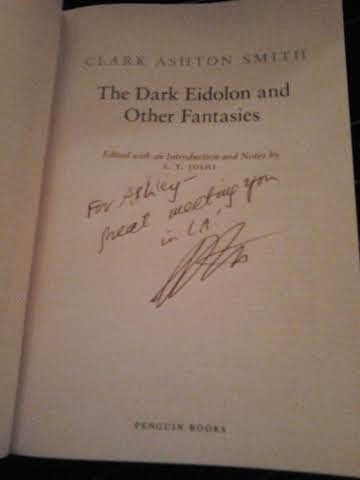 We talked about so many fascinating things that I could just go on about and he happily signed a few books for us. It was a very exciting meeting and he assured us that it wouldn't be the last time we'd meet. I greatly look forward to the next possible meeting, whenever that may be. I freakin loved this book! The poetry was amazing both context-wise and the way the poems were executed. 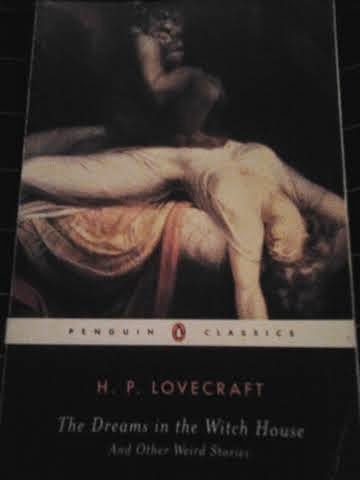 I started and finished last night because I couldn't put the book down. 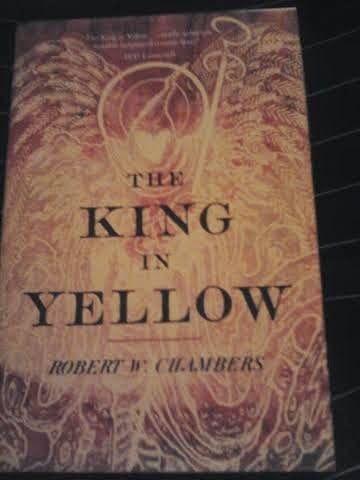 Themes from Lord of the Rings, the King in Yellow, H.P. 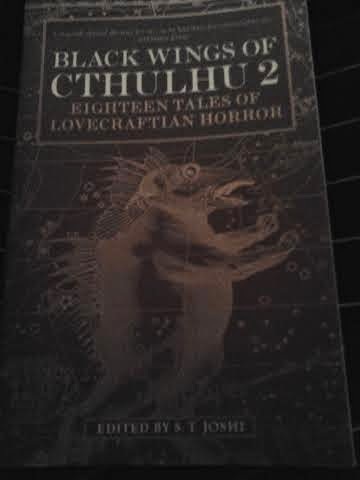 Lovecraft, Robert E. Howard, and others are rich in this collection. Brutal and fantastical themes are written in beautiful traditional form. 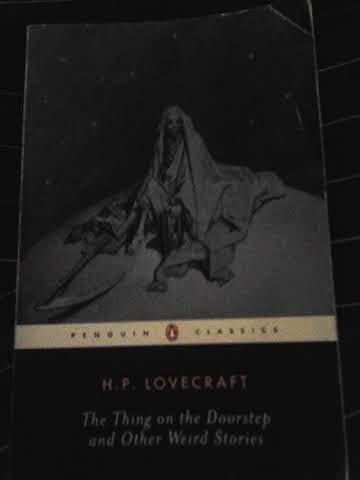 A few favorites of mine include Shelob, The Passing of Cassilda, Tigers of the Sea, and Visions of Golconda. 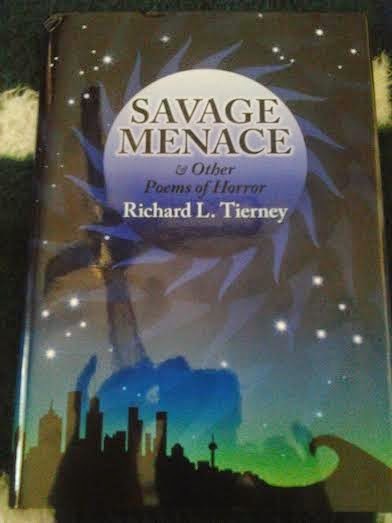 This book of poetry was amazing and I wouldn't be surprised if I read it over again a few more times. The only thing that wasn't to my taste was the humorous cycle, but it was short, and didn't take much away from the rest of the gems in there. M.R. 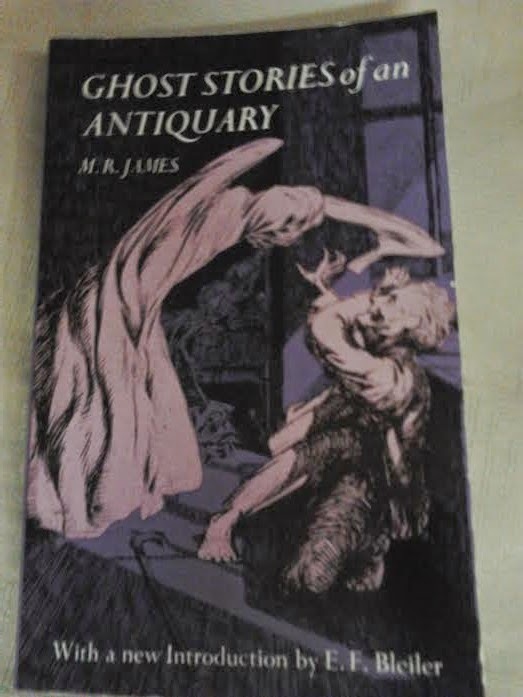 James is one of the many authors I have heard about concerning weird horror literature and I was excited to see a book of his in an Old Town shop in San Diego. There were, in fact, many of the obscure writers I've heard about but never read, in that store which was hardly even a bookstore. 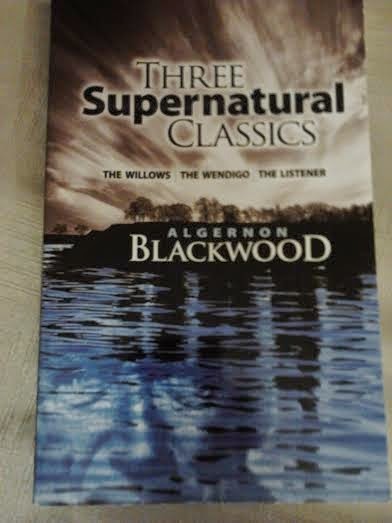 I also picked up Three Supernatural Classics by Algernon Blackwood, which I will read next. I enjoyed every story in this book. 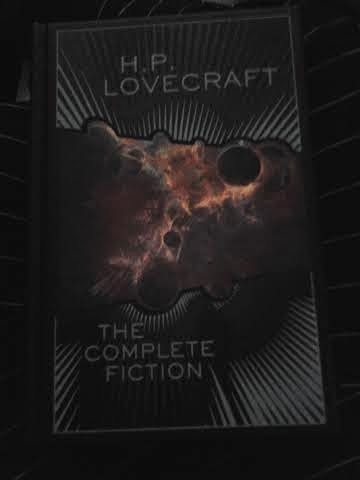 There was not a single dull one, and I after I read one, I was excited to quickly read the next. 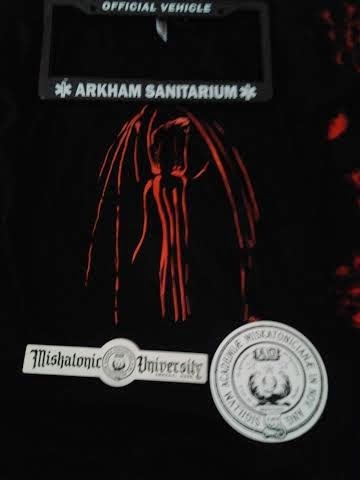 My two favorites are The Ash-Tree, I have a penchant for witches, and Number 13. 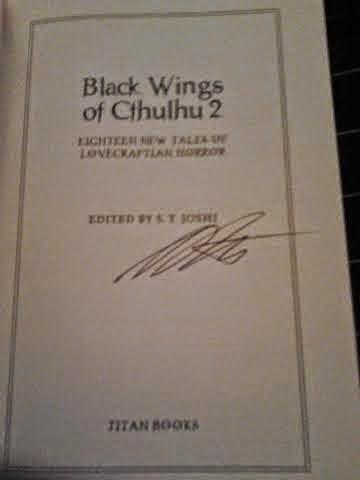 I did not know what to expect concerning this author, though I've heard that he and Blackwood are two of the most famous supernatural writers, and I was quite rewarded for my curiosity. 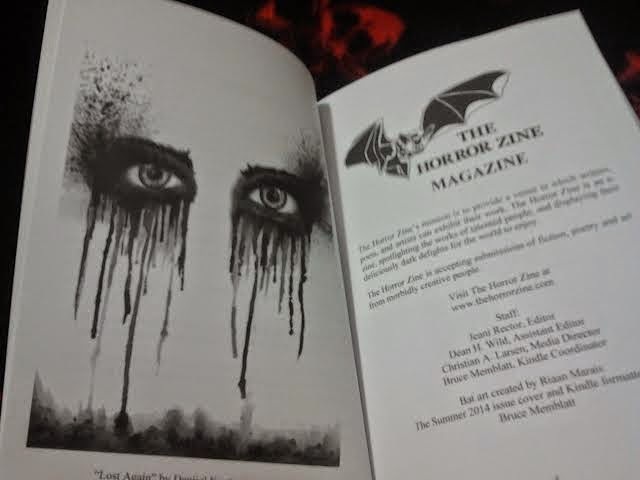 I just got my second poem, The Medallion, accepted for Lovecraftian anthology Beyond the Cosmic Veil, Into the Chaos by Horrified Press! 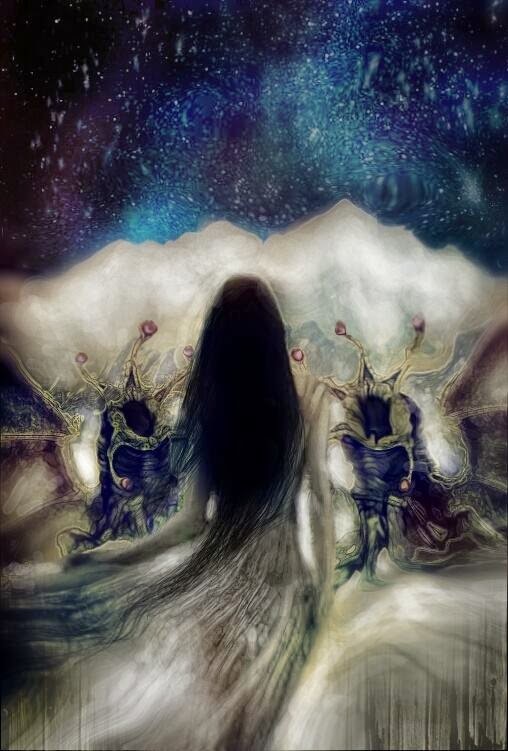 The cover art for Beyond the Cosmic Veil, Into the Chaos! I've read, so far, 54 books this year. From the earliest to most recent. In the summer, S.T. Joshi mentioned to Kyle through email, that he and his wife Mary, might travel down here to visit his sister during the Christmas holiday. He asked if perhaps he'd like to meet up and perhaps also with me. This is before he knew that Kyle and I are a couple. So we just finalized our plan and will meet him at his sister's on the 26th. Kyle and I are beyond stoked! Actually meeting S.T. face to face and chatting seems so incredible! And of course, he inviting us was awesome. I was quite honored to be asked to join in the meeting as well! Anyway, I looked through my bookshelf and discovered that I have 13 books that S.T. either edited and/or compiled! 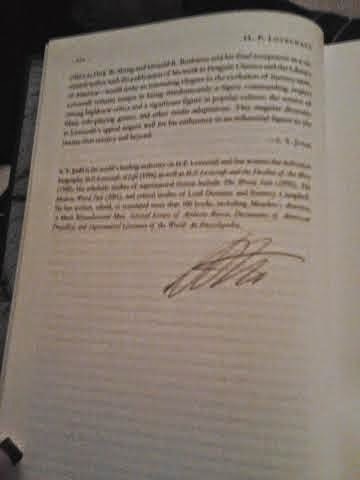 1 of which is already signed by him. So I have 12 books of his and must contemplate which to take! I posted this dilemma on the S.T. Joshi Enthusiast page and got a sweet comment from Mary telling me to feel free to bring them all and that she looked forward to meeting us. That was very sweet but I won't bring them all. Signing books is not the point of the meeting, it is simply a bonus. And I would not want to bombard him with so many to sign on our first and perhaps only meeting. 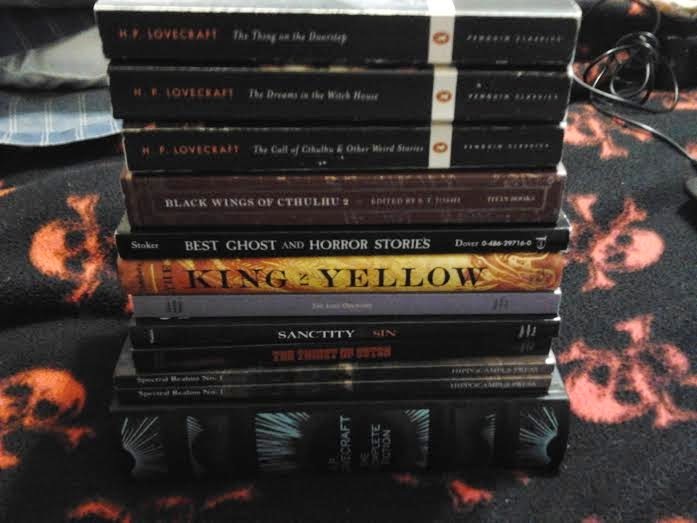 That's quite a heavy stack. 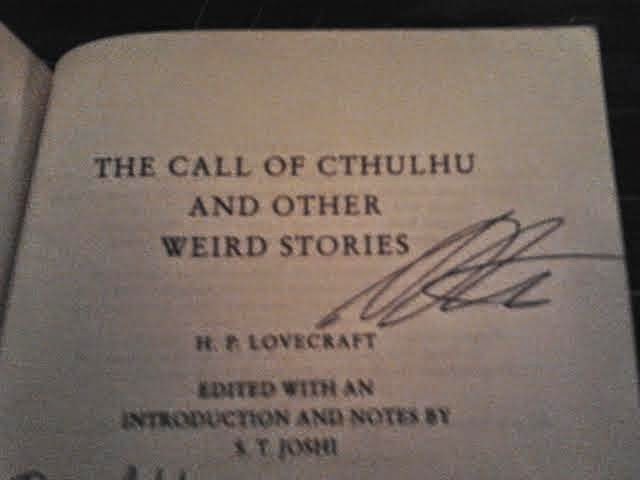 Kyle suggested I bring the Lovecraft books as well as books that S.T. 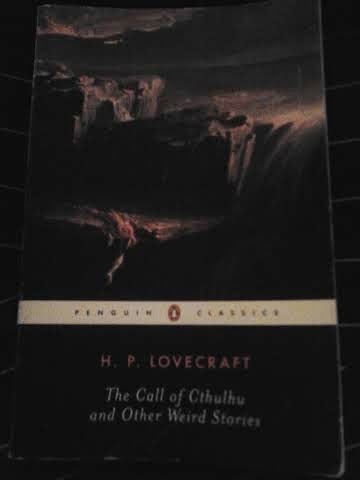 oversaw himself such as Spectral Realms and Black Wings of Cthulhu 2. Which makes sense and that alone would be 7 books. We'll see. 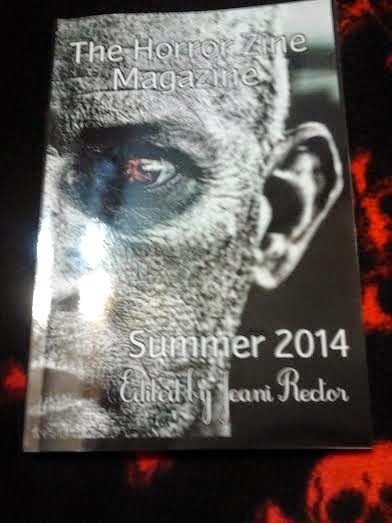 I finally ordered my copy of The Horror Zine: Summer 2014. Isn't it gorgeous? 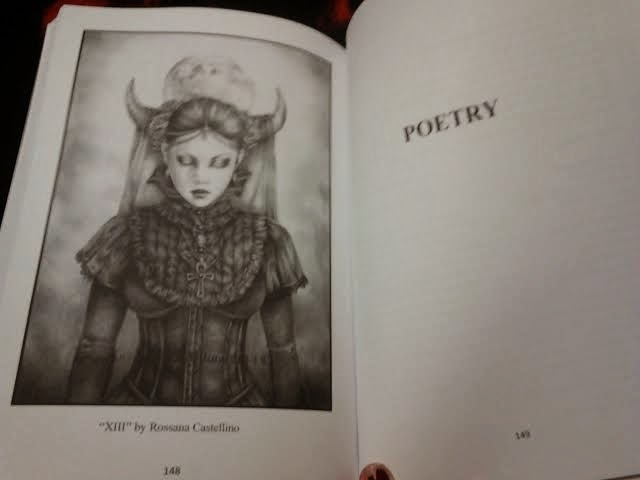 I have 4 poems in this. 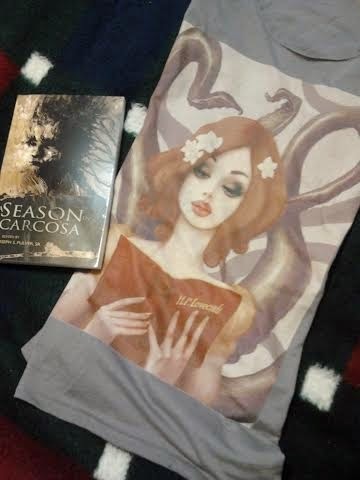 They are Paper Doll Displays, Dead Kings Rise, Frozen Tides, and The Porcelain Garden. 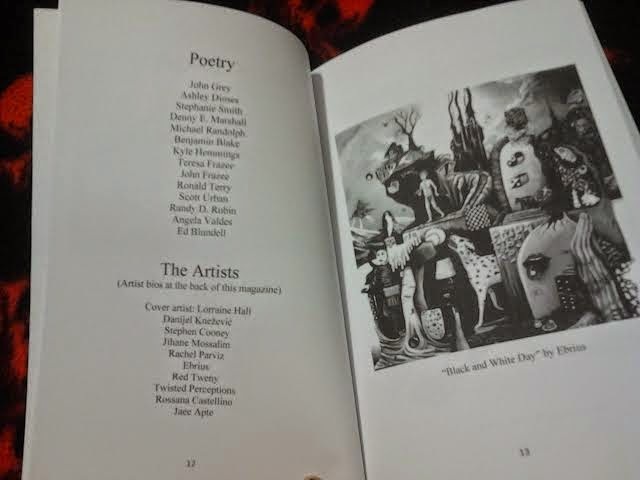 I just got my poem Morning's Moon, accepted for this anthology. Whoot, whoot! Anything and everything supernatural. Good ghost stories. Humor, poetry, and horror will be accepted. Dark fairy tales, bizarre, horror, surrealism, dark science-fiction and steam punk are all cool here. Word Count: 200 – 3,000 words. 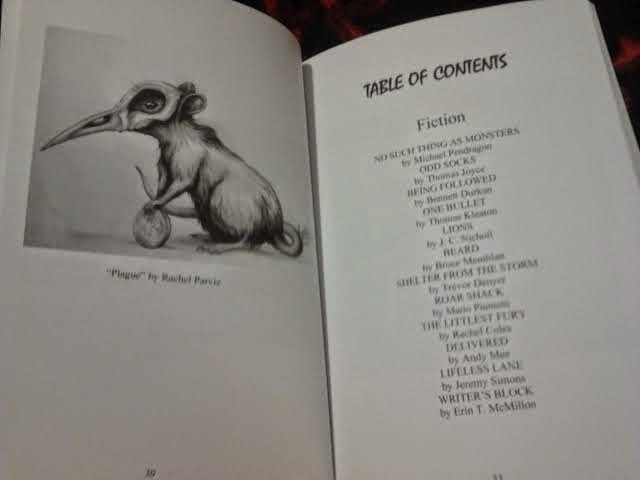 Brianna Stoddard will be presiding over this anthology. The email subject line must read “SUBMISSION – Supernatural – ‘your story title’” or your submission will not be considered for this anthology. A dialogue between the bridegroom (first stanza) and the bride (second stanza). bide but firmer, O faint of soul! we shall outrun her and reach our goal. bide but firmer, O faint of soul. seldom hasten, 'tis not their way. winter will strengthen and bring dismay. "More promotional art by the talented Aleksander Karcz for Justyna Plichta-Jendzio's story"Gods' Will." "Courtesy of poet/artist Joas Dale Miller. Enjoy." "THIS is Thorn, Howie Bentley's band mascot for Cauldron Born. He is a prominent character in his story, "The Mask of the God Hunter." "A map of Nordlonda, a minor land in the Soul Forge Saga, in which, Joas Dale Miller's and Kevin Henry's poetry/stories take place." "A map of the World of Altiva, drawn by Teel James Glenn himself. His stories, "An Oath of an Umbrian," and "The Treasure of Trakos," take place within this setting." "A map of The Ancient World drawn by Byron Roberts himself. His story "Chronicles of the Obsidian Crown," takes place within this setting." And last but not least, the official cover art! 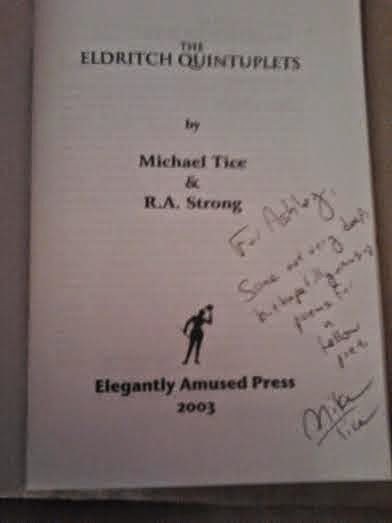 I met Michael Tice at the HPLFF in San Pedro this year. 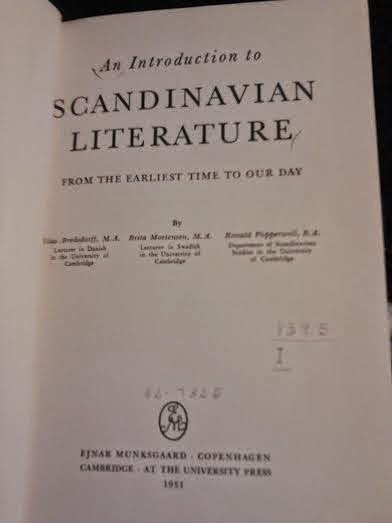 He read some of his humorous limericks at the reading and I was interested in reading more. By the time I found it though, I already spent my budget on many things already. I persuaded Kyle to get it for me (it was only $6) and he did. 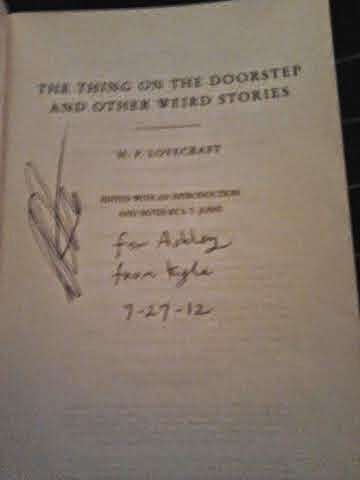 Michael signed it for me and I was quite pleased to add another signed book to my collection. 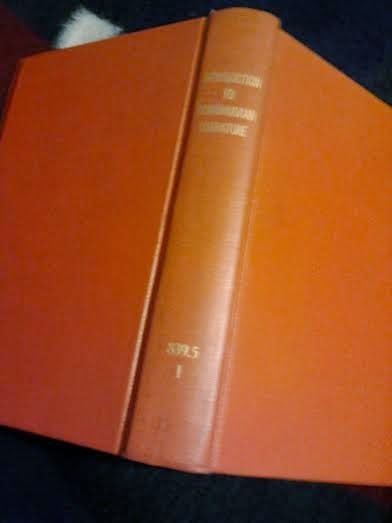 I just finished reading it and I found it very charming. Each limerick goes over a brief summary of the corresponding HPL's story. So if you can't remember exactly what a specific story was about, these limericks should help you out. 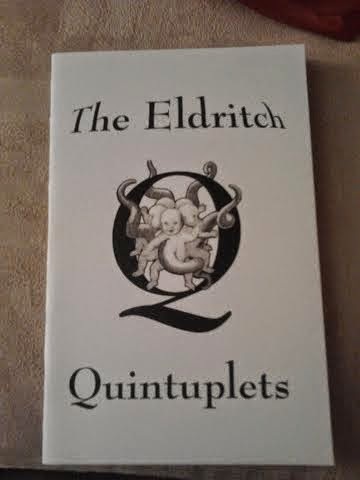 I quite enjoyed this chapbook and I recommend it for a light and amusing read.